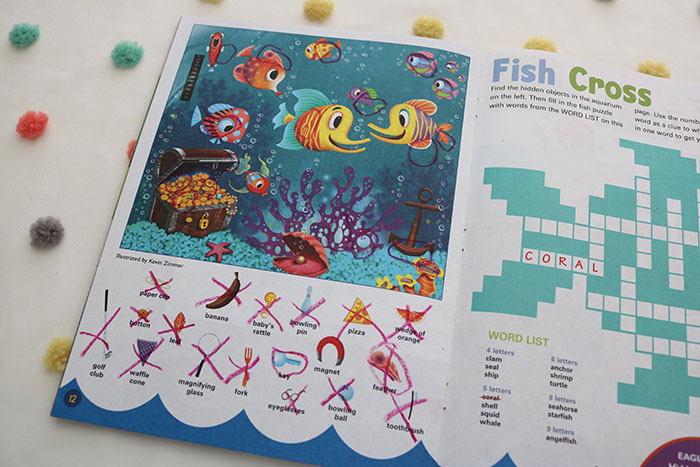 We love that the Highlights magazine are full of fun puzzles and activities. 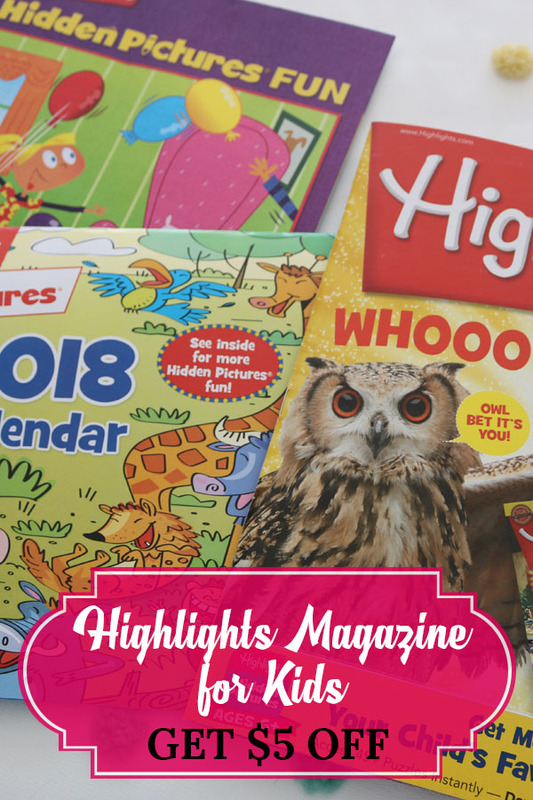 Get a highlights magazine coupon for $5 off your subscription. Who else remembers getting the Highlights magazine in the mail as a kid? I used to love getting these magazines every month. And there is something extra fun about getting mail. Now I get to see Abigail’s face light up when she gets her Highlights Magazine in the mail each month. Get your Highlights Magazine coupon for $5 off. 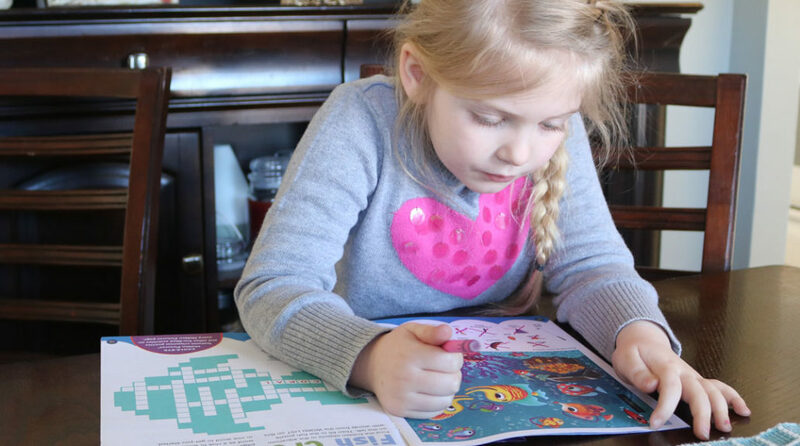 Keep reading to see what we love about the Highlights subscription! 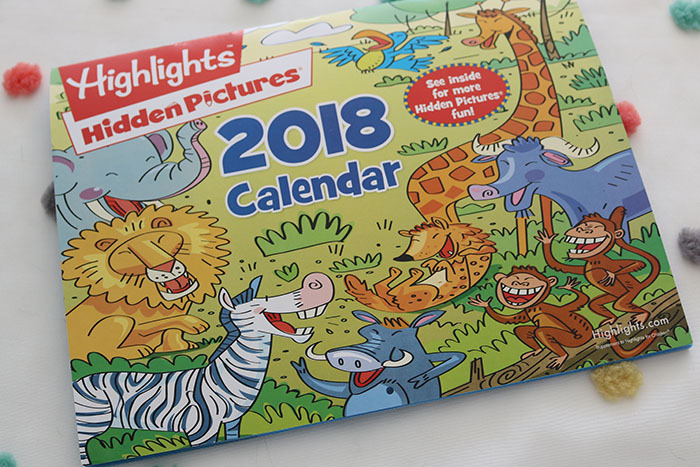 We got an extra goody in this month’s bag, the January 2018 calendar! This is perfect because I needed a calendar for Abigail. We are starting a new trend to keep her motivated with getting up to her alarm clock each school morning and getting dressed. She will now get to add a sticker to each day she accomplishes this. 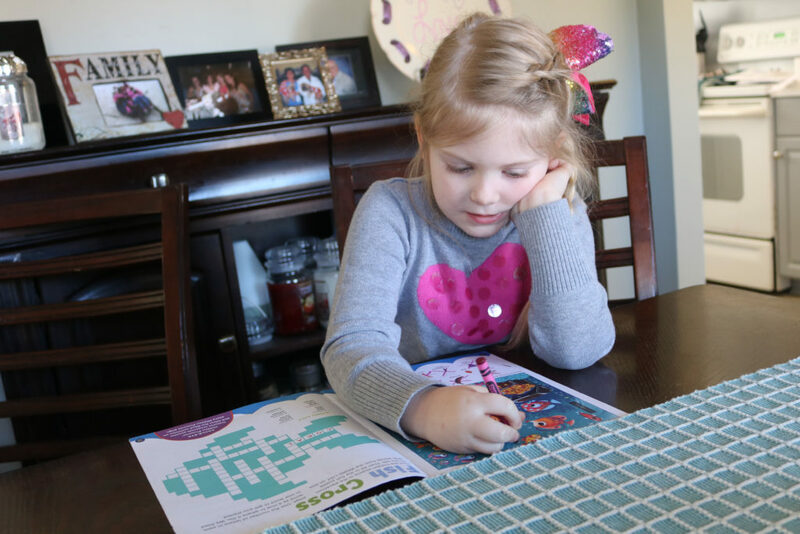 She is doing great already and now she is really excited to track her progress in her new calendar! 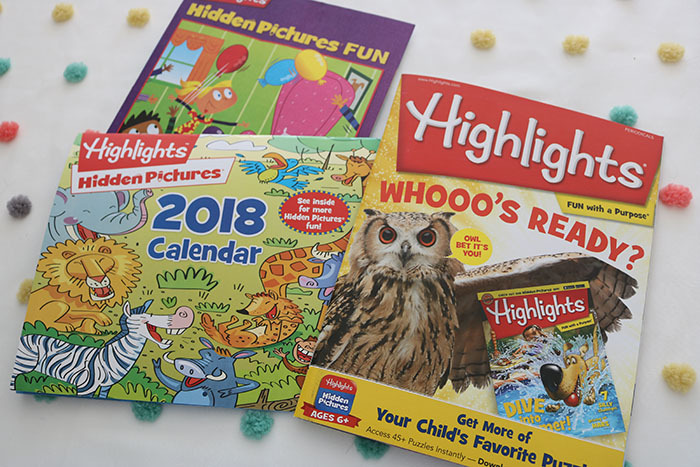 Abigail is 5 1/2 so we chose the Highlights magazine for ages 6+ versus the Highlight High Five magazine for ages 2-6. The 6+ is perfect for her. I do have to read the articles to her right now, but when it comes to the hidden pictures, she loves the more challenging ones from the older magazine. 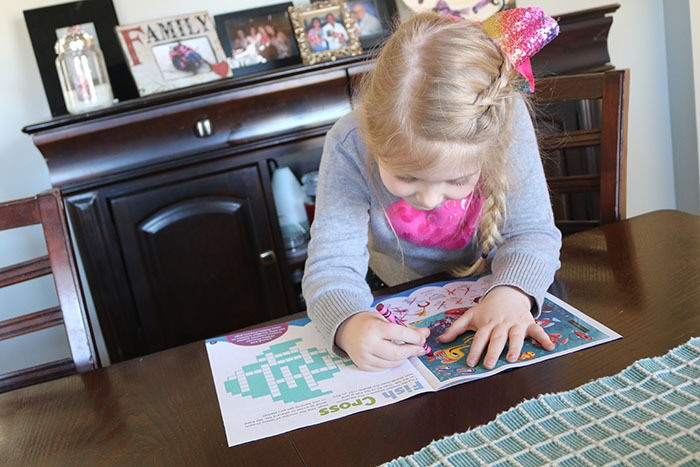 The hidden pictures is her favorite part and she is great at it. We even do challenges together. We will each pick an object to find and see who can find theirs first. She usually wins. We love how hidden the objects are! 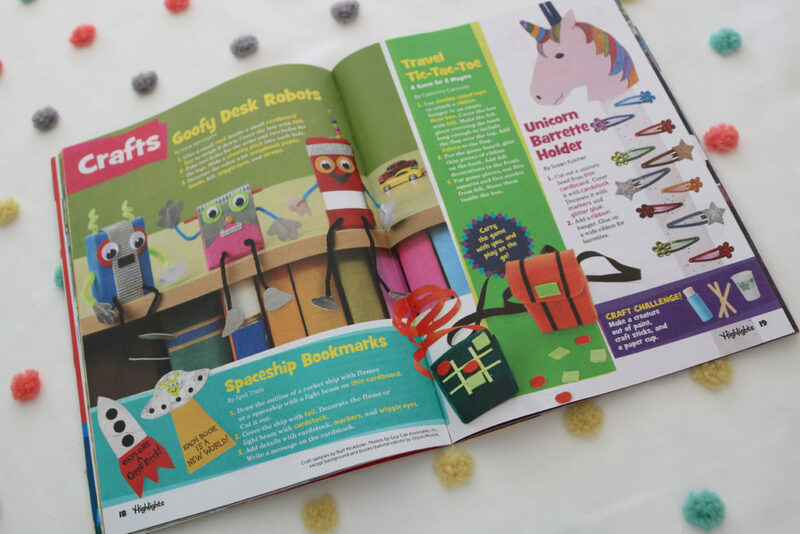 The magazine has a cute craft section in it as well for fun craft ideas. We also look forward to the months with recipes! Abigail loves to help cook, especially bake! This makes an excellent gift. With the Highlights Magazine coupon for $5 off, it is only $34.96 for a year subscription. If you like gifting useful gifts, this is a go to. It is an excellent supplement for school. The hidden images help Abigail a lot with site words and this is “homework” she loves to do. They also make great entertainment for long car drives. Anyone else love getting the Highlights magazines? Let me know in the comments below what your favorite activities are in the magazines. Share the love by pinning this so more people can enjoy a highlights magazine coupon for $5 off! Next Article Next post: What’s in My Ipsy Glam Bag for January? This is a great reminder for parents! I actually have these in my school library too! The kids love them! I LOVED Highlights when I was a kid!! I have been looking into getting it for my daughters now, but the price was a bit much for me. That coupon helps. I remember getting Highlights Magazine! I think they even used to be all black and white on the inside. Now it looks like they have some color to them. Super fun! I always used to read Highlights as a kid! It seems like it is just a great today as it was back then. How cute! I remember reading those as a kid, glad they’re still around. Wonderful to get kids excited about reading. Fun. Fun! Great way to motivate your daughter in the morning. I used to love that magazine when my kids were little. I loved Highlights magazine as a kid. My daughter got one in the ai and just pulled all the pages out lol. Soon I think she’ll really appreciate everything offered in it. I liked searching for hidden photos. We love getting our Highlights every month! My mom actually pays for all the kids’ subscriptions as part of their Christmas gifts. I am definitely going to have to try out the calendar training. Elly is very difficult to rise in the morning for school. My mom started the craze with ordering the girls the Little Passports for Christmas last year. Now we get a bunch of things in the mail monthly and it is so fun!! These are so adorable and great for kids! My daughter loves this magazine and the Nat Geo kids too. Boy oh boy do I remember these. They were my favorite as a kid and the same from mine. So glad to see they are still in print for when I am a grandma. (One day, not too soon, I hope). I remember enjoying Highlights Magazine when I was younger, and our son enjoyed it when he was younger, too. The puzzles, the searches, the stories certainly caught my interest. 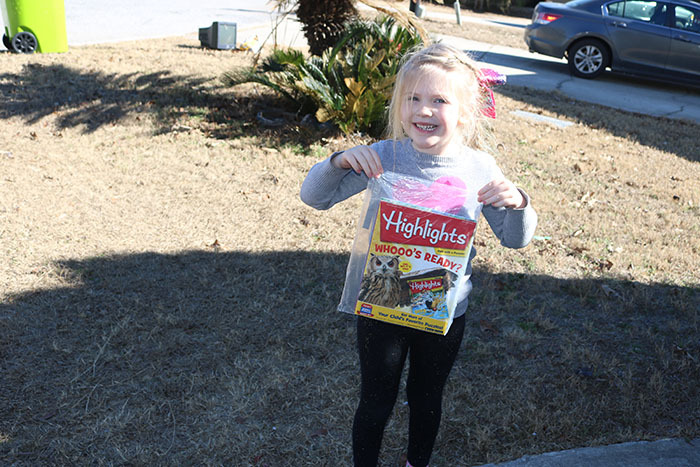 I absolutely loved Highlights as a child and so did my daughters when they were younger! They are great magazines! My kids love getting mail as well! What a great idea! Great gift idea! I have a niece who would love this. Thanks for sharing. Oh I’ve been wanting to get highlights for my five year old forever. I’m going to have to just buckle down and do it!